Dark chocolate and the fresh taste of raspberries come together to create our Chocolate Raspberry Truffle coffee. We are sure that with each sip you will smile, for just a moment, before taking another sip. 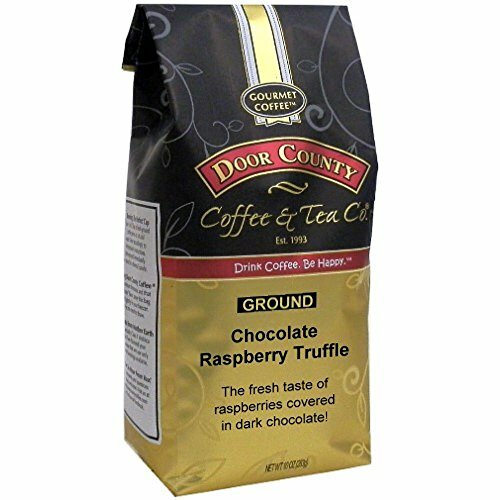 Manufacturer: Door County Coffee & Tea Co. Publisher: Door County Coffee & Tea Co. Studio: Door County Coffee & Tea Co. If you have any questions about this product by Door County Coffee & Tea Co., contact us by completing and submitting the form below. If you are looking for a specif part number, please include it with your message.